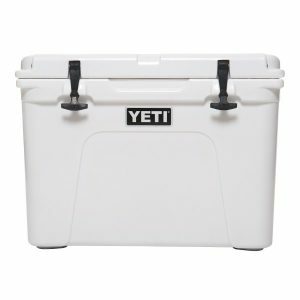 Yeti Coolers On Sale - Are they worth it? Recently there has been a surge in what I call cooler coolness. If you're a guy, you know what I am talking about, that jealousy of seeing your fishing or hunting buddy with a brand new Yeti Cooler. If you are a wife or girlfriend, you are likely looking for the justification of spending what seems to you an outrageous price for a cooler. Either way, you are likely on this site looking for the cheapest price on a particular cooler or a review for cooler you may be considering purchasing. Below we outline the most popular high end roto molded coolers. If you are after coolers with speakers, a scooter cooler, a barrel cooler, or something other than the "traditional cooler" be sure to check our navigation bars up top as we likely have reviewed those coolers or at least have some sort of information for you. The internet is full of reviews, gurus, and authoritative sites. At Coolers On Sale we have combed through all these sites for you to provide you with a centralized location of all information put together in an easy to read format. As previously mentioned, we have also physically tested and compared most of these model. 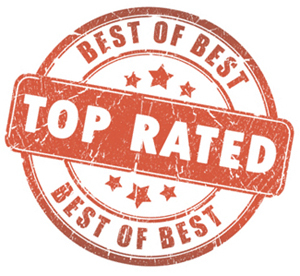 Below are some of the most popular choices. If you spend any amount of time on the water, in the woods, or outdoors for that matter, you're almost certain to see a Yeti cooler strapped down to a boat, back of a jeep or truck, or at the very a Yeti sticker on the back of truck or SUV. Yeti is the Ferrari of coolers, not only is it functional, it has now evolved into a status symbol. The Tundra Series from Yeti is one of the most practical, serving multiple purposes, and coming in sizes ranging from Models 35 to 250 Quart. Naturally, the larger the size of the cooler, the higher the price. In our Ice Retention Test (several different models) Yeti finished among the top. Every cooler we tested handled five days ice retention with ease in a multitude of test ranging from 70 ambient temperatures to 100+ degrees. Suffice it to say, if you want a cooler than can handle the average camping trip, boating adventure or tailgate, you can't go wrong with Yeti. Although there are cheaper alternatives, as outlined below, the reality is, some just prefer the Yeti brand name, and that is perfectly ok! 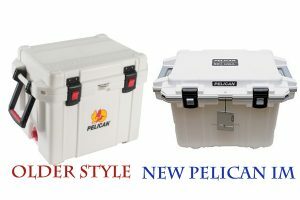 So you don't want to cave to the Yeti name or price, no problem the Pelican ProGear cooler is the cooler for you then. Many of you may already be familiar with Pelican products. Most notably known for their waterproof and extremely durable cases, Pelican has expanded into the cooler line, and they didn't disappoint. Sticking with the same ruggedness they are known for with their cases, Pelican has brought to life the ProGear Marine Elite and more recently the Elite IM series. Yes, Marine Elite is in the name but that does not mean this cooler is specifically for marine uses. Its durability renders it suitable for the water and land alike, but because it is the Marine Elite, it does have a few extra features many water goers will appreciate. For example, the pelican comes with extra wide grips for carry with gloves, or when splitting the load between two carriers (two people carrying at the same time). Boasting 7-9 day ice retention ensures your trips to the Ice House will be limited. In fact, in our testing we saw the 50Qt Pelican IM last 10 FULL DAYS! You can see this test via the NEW model link below. One of the features we like most about the Pelican line of coolers is their latch system, Pelican uses a completely different latch system when compared to other roto molded coolers. The Press & Pull latch system is significantly more durable (in our opinion) when compared to the more traditional T-Latch rubber latches. One last nod to the Pelican line up of coolers is the presence of a limited lifetime warranty. This provides a little more reassurance to most. 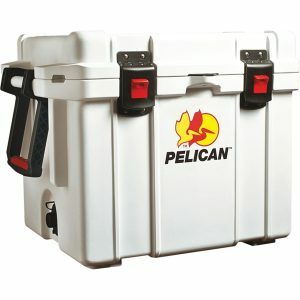 The pelican is also often about $50-100 cheaper than a comparable sized Yeti, but more moderately priced in comparison to other high end coolers. Until our most recent Best of the Best Ice Challenge, the Orca was THE cooler to beat. Across almost all of our cooler ice challenges, the Orca 58Qt finished at the top, time and time again. 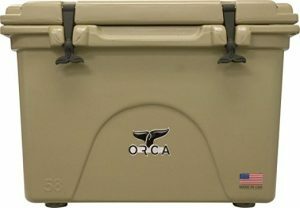 Add to this the fact that this cooler is Made in the USA, the Orca becomes an incredibly desirable cooler. As a result of several ice challenge in the heat of a Florida summer (mid 90's ambient and lid temperatures hitting 120+) Orca lasted about 8 days. You can see this via the Orca Review page below. This is truly impressive considering the harsh conditions we put these coolers through. 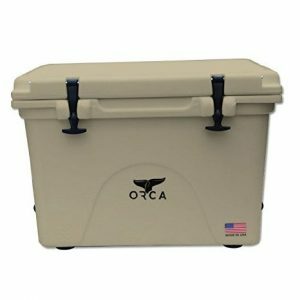 The Orca line of coolers is on the upper end of the price scale, but in our opinion, if you are one to "buy once, cry once type" the Orca is worth the purchase price. Not only does Orca boast some of the best ice retention times, we feel the build quality is among the best. Everything about this cooler feels more robust. For example, the lid fees much thinker and the T-latches (which are creatively in the shape of an Orca tail) are thicker than most other T-latches. ​One last feature that this cooler offers that competitors might not, is the presence of a mesh external compartment. This simply buttons on the back and is removable. If you are the type of person who believes in the motto "if its not broke, don't fix it" approach to life, the Igloo Yukon is for you. Igloo is a name synonymous with coolers, and they have steadily improved since their beginning. The Igloo Yukon is a heavier duty version of your traditional Igloo Cooler which you've likely seen at a party/function designated as the "drinks cooler." 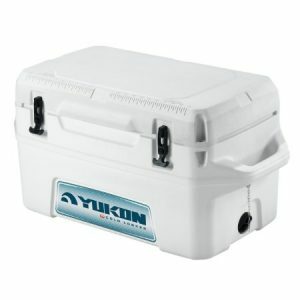 The Yukon is a step up from those traditional coolers now offering 50-150 Quart and better yet multiple colors! Not everyone wants to lug around a hard sided roto molded cooler. A soft sided cooler takes up less real estate when not in use and is a heck of a lot easier to move around. Much to our surprise, soft sided coolers can hold ice for impressive lengths of time. Depending on external temps, we have experienced the Polar Bear lasting in excess of 3 Days. Soft sided coolers come in various shapes and sizes, but one of favorite models is the H20 Series Backpack cooler by Polar Bear. 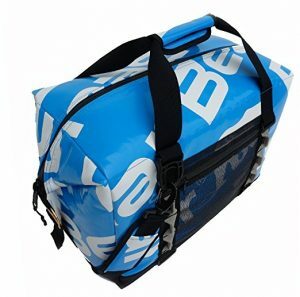 This comfortable cooler can carry up to 18 cans and features a waterproof zipper. For us, this makes for the perfect hiking cooler or a day to the beach cooler. For those whom ice retention times are of utmost importances, you'll be happy to discover that there are several soft sided coolers which can last just as long as some roto modes coolers. 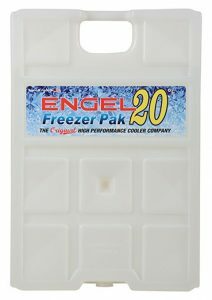 For example, in a recent test, the Engel TPU cooler last a FULL 5 Days in 90+ degree ambient temperatures. We have a full review of that via the links below. Once you've settled on a cooler, the next appropriate step is the figure out how to best keep your cooler chilled for the longest amount of time as possible. Ice pack, Dry Ice, Or Traditional Ice??? The short answer is the best method for keeping your cooler chilled long term is to use traditional ice in combination with an ice pack. However, the most important initial step you can take to keeping ice longer is to max out the ratio of ice (or ice packs) to cooler size. It seems like a relatively obvious point to make, but many neglect to implement this critical step. Utilizing one or two ice packs in a larger cooler (25qt+) will result in less than 24 hours of a chilled internal cooler. However using 10lbs Ice in combination with those same two ice packs can extend the life of your cooler an extra 24-48 hours. We have tested a variety of ice packs and ice sheets, and included the results via the links below. However in our testing the Engel Ice 20° Model provided the longest cooling effect. There are many factors which go into buying the right cooler for your needs. Are you a beach going weekend warrior looking for coolers with sparkers, or are you the type to hit the back roads for days or weeks at a time looking for a camping cooler? Is it just you on most of your trips or are you providing for a whole family? Maybe you aren't leaving the house at all and you need a massive patio cooler for entertainment. Regardless, one of the first considerations to make when purchasing a cooler is size. This is a tricky topic because bigger is not always better when it comes to the mobility of a cooler. These are also factors to consider when making the purchase of a new cooler. Now a days with coolers reaching north of $400 you want to make sure you get the best bang for your buck. Take a moment and consider Size, Ice Retention, Warranty, Intended Use, Durability & of course PRICE before you take the plunge on a new cooler. As most of you already know, coolers come in all shapes and sizes. Although most of us believe in the motto that there is never enough room in a cooler, especially if you're bringing home the days catch or more importantly packing a days supply of beer at a concert; this is not always the case. An extra large cooler can be a hassle to load, unload, and transport wherever you may be going. Size affects mobility, so if you are one regularly on the go make sure to not go overboard. Or if you are literally trying to be on the go on your cooler, you'll want to check out a cooler scooter. As mentioned, size affects mobility and many of the more expensive coolers do not have wheels so if you're considering a Yeti, Grizzly or Engel, you're almost certain to not have wheels on your cooler. We often receive emails asking whether to choose a 40qt cooler or a 55-60qt cooler. Our answer is almost always the same; if you even think you may need the extra size, you are almost certain to need and use that extra space. The price difference between a 40 quart and 60quart cooler is significantly less than having to buy one, then to discover you actually needed a larger one and buying BOTH. ​Suffice it to say, we usually tend to shy on the theory that bigger is better, in this case. For those that are still wondering the difference between a $40 cooler and a $400 cooler, here is your answer; Ice Retention. 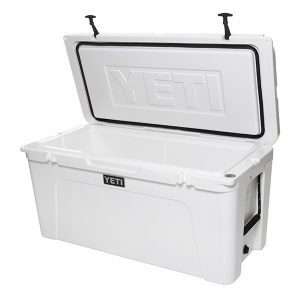 The upper end coolers such as Yeti and Pelican offer up to 10 day ice retention on some models. We have personally experienced this and show this in several video reviews. This is a stark difference between your run of the mill cooler which may struggle to hold ice for even a few hours. The difference lies in the construction of the cooler and of course the insulation used. Many of these higher end coolers are roto molded. For those like myself who had no idea what roto molded meant, but just thought it sounded cool, there is a huge advantage to a roto molded cooler. Roto molded is just the shortened version of the term rotational molded cooler. The advantage to rotational molded coolers is that they are much stronger than conventional plastic molding. You will also notice, and as pointed out in reviews on this site, coolers such as the Yeti or Pelican, have a very prominent gasket present on the lid of the cooler. This gasket works much like your refrigerator, creating a tight seal preventing cool air from escaping and warm air intrusion. If you are one to use a cooler often, it doesn't take that many trips to the store for 20 lbs bags of ice before the costs start to add up. Therefore, you'd be better off going ahead and buying a quality cooler. Another consideration to make is the possibility of purchasing a 12V cooler. A 12V cooler which is also known as a plug in cooler for a car works as a thermoelectric cooler, requiring no ice at all. Therefore, your ice retention, or coolness retention in this case is as long as the cooler is plugged in. Taking the consideration of size of your cooler one step further is intended use. Will you use your cooler strictly for a patio BBQs, or will this be your camping cooler? Will you have move this cooler about often? If so, you'll likely want a cooler with wheels, or at the very least a cooler like a Yeti or Engel which now have aftermarket wheel kits available. As mentioned with ice retention, the roto molded coolers are a heck of a lot more durable than a conventional cooler. The walls of these coolers are often times several inches thick. However, a majority of the time the pieces of the cooler which gives out first is the hinge and latching mechanisms. These, after countless open and closes, damaging sun rays, and general harsh treatment crack and fall off. Not only do the upper end coolers use a different latching and hinge system, but the parts are replaceable, thus adding to the longevity of your cooler. 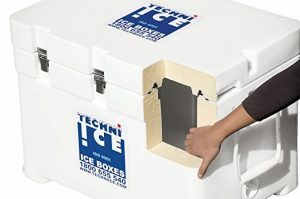 Many of your lower end coolers do not have replaceable hinges nor latches, so as soon as one breaks the cooler becomes even more vulnerable to ice melting or worse yet becoming virtually useless. Many of theses upper end coolers are also certified bear resistant. For those that camp and are outdoors a lot, a huge consideration is a IGBC certified cooler. 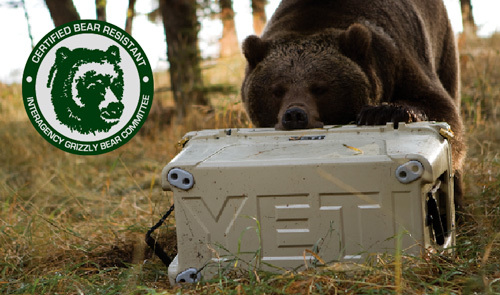 An IGBC certified cooler meets the requirements to comply with public land food storage requirements while you are in bear country. Many campgrounds require food be locked up in cars or special bins. However, many of these upper end coolers meet the requirements to comply with these standards. 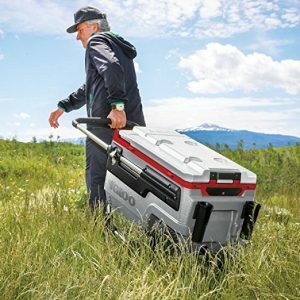 You can read our reviews of the best cooler for camping which addresses what exactly makes a bear proof cooler. Not to mention, if these coolers meet the requirements to be bear resistant, it goes to show the toughness of these coolers. In addition to the durability factor that goes along with many of these coolers comes added functionality. A cooler which is built to withstand bear attacks is also built to be stood upon. All the sudden your cooler also doubles as a casting platform for your boat, a campfire chair/step, or maybe even polling platform. Many of these features, especially when talking boat accessories pays for it self plus you are getting the added benefit of a quality cooler. The last thing anyone wants to happen to them after spending several hundred dollars on a cooler is for it to break, and not be backed up by a quality warranty. Now, we just addressed how durable most of the coolers are now, but theres always that one guy or gal who just seems capable of breaking just about anything. Don't worry, thats us too! Even the strongest of items are still prone to unforeseen accidents. Therefore, you'll want to highly consider the warranty that comes with your cooler of choice. A Pelican for example comes with a Limited Lifetime Warranty, whereas a Yeti comes with a limited Five Year Warranty. 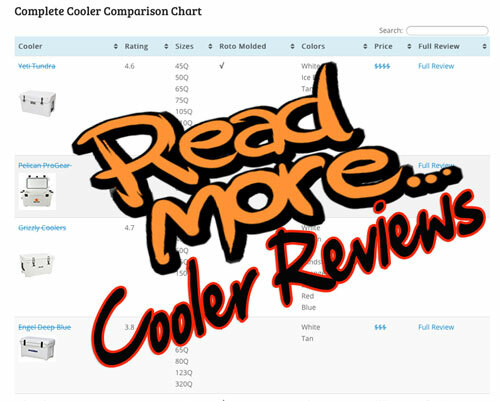 We address the warranty of each cooler in their corresponding reviews which can be found via the comparison chart at the bottom of this page. This is likely the single most important factor to most people when picking a cooler. Let's face it, spending a couple hundred dollars on a cooler is not easy to swallow for most. So back to the original question we addressed on this page, what's the difference between a $40 and $400 cooler? If you've read this far, it should be fairly clear....a lot! However, our sole goal with CoolersOnSale.com is to prove that quality coolers can be had at a much more affordable price tag. Our head to head comparison are some of our most read posts on this site and for good reason. Most readers and YouTube viewers have narrowed down their choices to several coolers. This is where our comparisons come in handy and help in deciding which is a better buy for their situation.